Richard Borella arrives in Pine Creek for The Borella Ride. 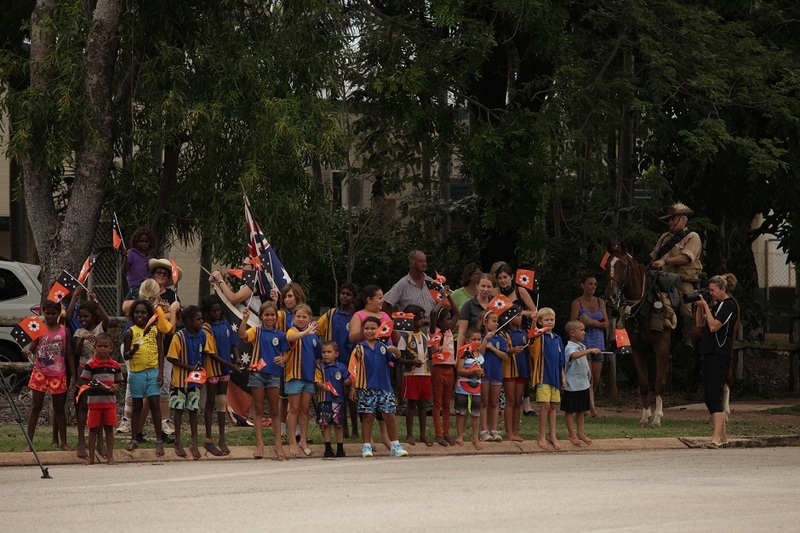 The Borella Ride greeted in Pine Creek. 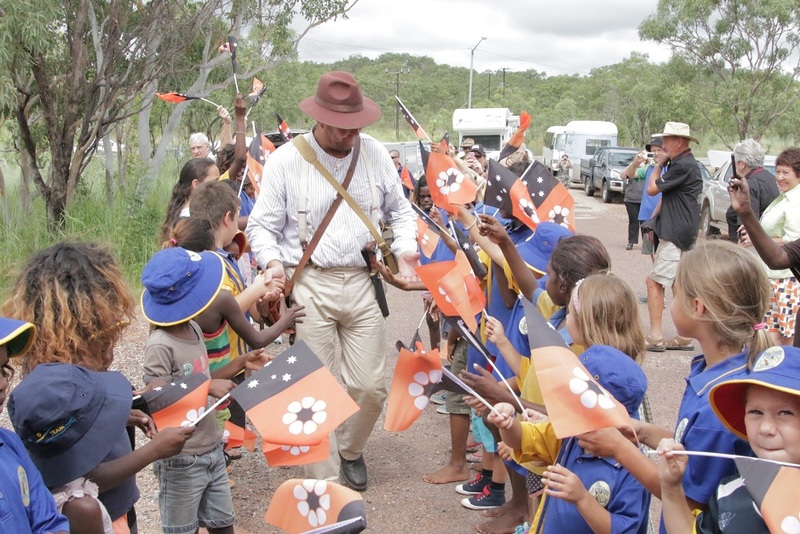 Children from Pine Creek play with Noble Comrade. 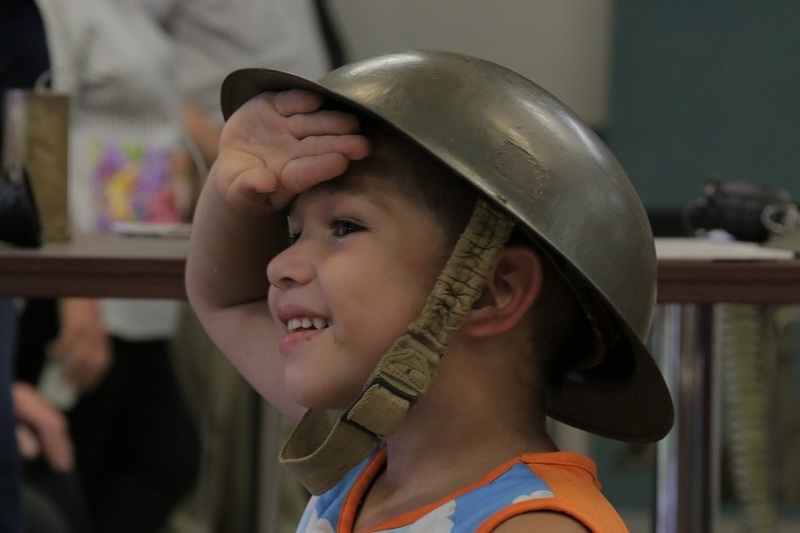 Dress up time for children from Pine Creek. Richard Borella preparing to board the train to Darwin on the final day of The Borella Ride. 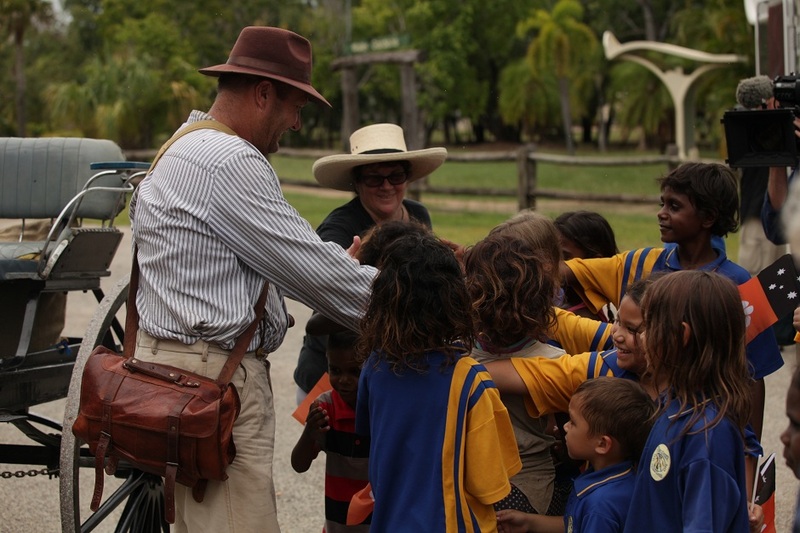 Richard Borella farewelled by Pine Creek school students. The train departs Pine Creek. 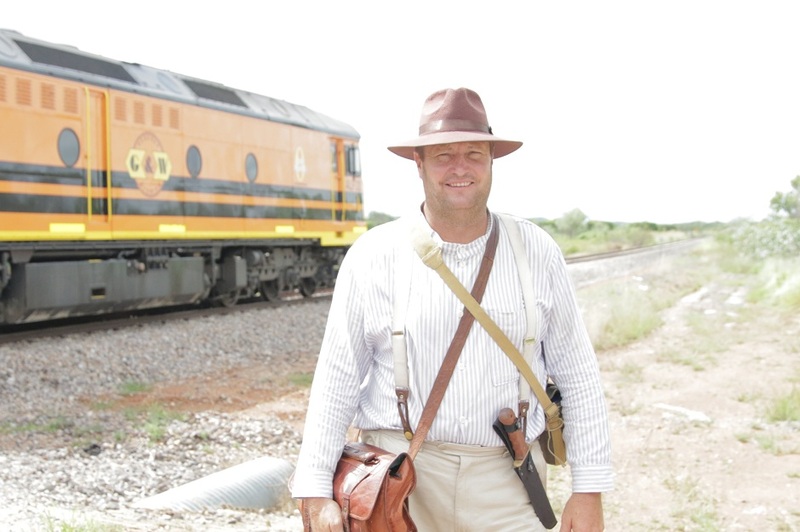 The small township of Pine Creek was the southernmost station of the Darwin train line in 1915, so it was here that Albert Borella boarded the train for Darwin. It was also where The Borella Ride would transition from the mail cart to a train 100 years later. 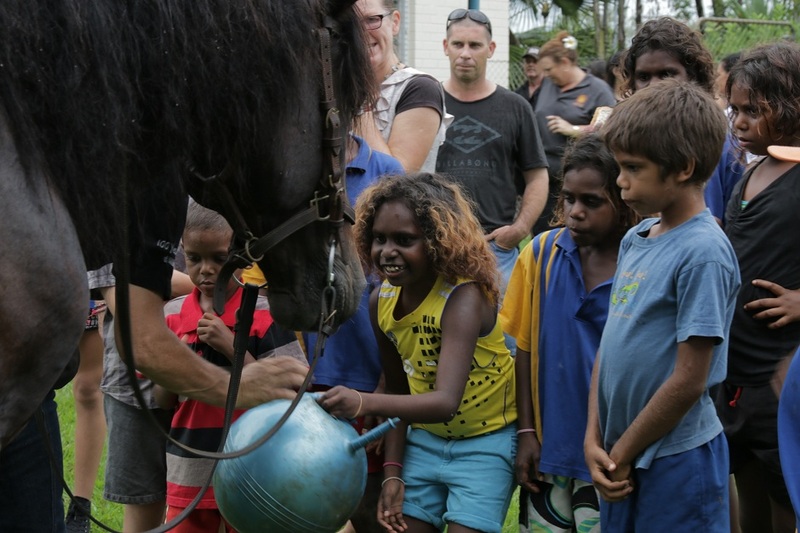 The Borella Ride arrived into town to an excited greeting from school students. The community event during the evening saw a large turnout of locals enjoying the Travelling Display and the attendance of resident Barry Burrows dressed as a Light Horseman. 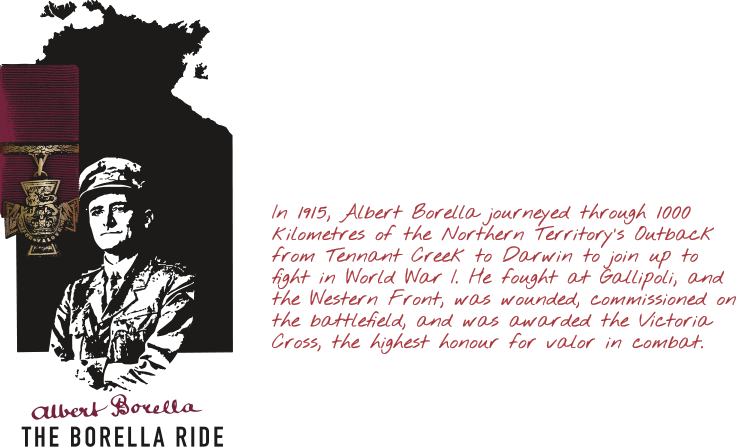 In Pine Creek the team were reminded that Albert Borella was only one of 462 Territorians who fought in World War I. Alfred O’Neil a miner from Pine Creek enlisted on 5 April 1916. His story is shared by Dr Tom Lewis in our blog. After one final evening of camping, the team were ready to face the final day of The Borella Ride. Genesee and Wyoming provided the train that would take the team to Darwin, with a quick stop in Adelaide River. 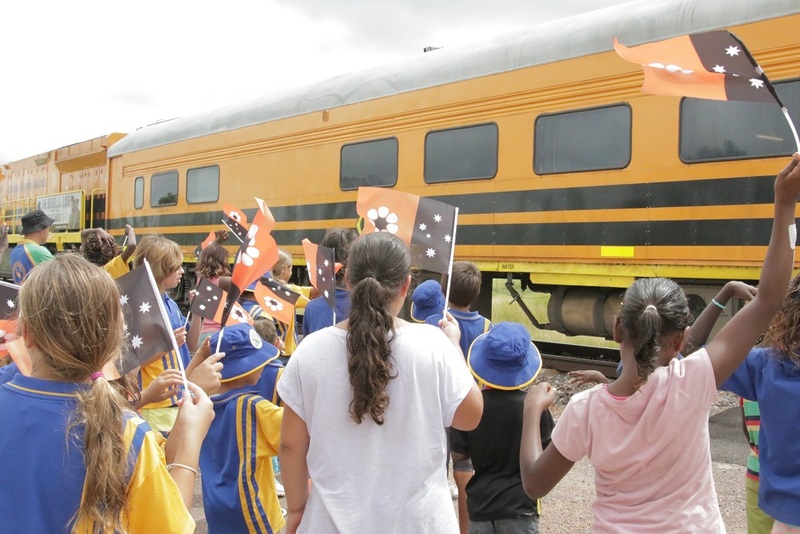 The Borella Ride was warmly farewelled by Pine Creek as the team boarded the train.